Worldwise Inc, featuring innovative products made principally from recycled, reclaimed, renewable and certified organic resources. 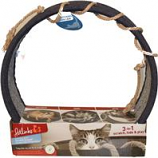 Crinkle sounds feathers and catnip excite cats and attract them to play. 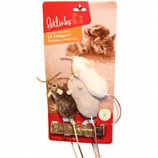 Catnip produced without pesticides or chemicals. Fiberfill made from 100% recycled plastic. . . Erratic spinning inspires cats to stalk and pounce. Plastic housing made with recycled plastic. . . .
Hypernip kicker toy-more potent than catnip. Proprietary blend of silvervine and catnip drives cats wild. Appendages made with real jute a quick growing natural material. 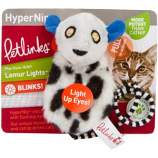 Fiberfill is made from 100% recycled plastic. .
Hypernip is more potent than catnip. 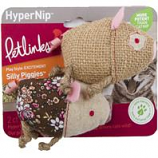 Safe for pets 100% satisfaction. . . .
Hypernip kicker toy-more potent than catnip. Unique blend of silvervine and catnip drives cats wild. Fiberfill is made from 100% recycled plastic. 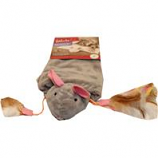 . .
Knead scratch play and rest mat. 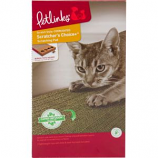 Combines three textures for kneading scratching and rustling. 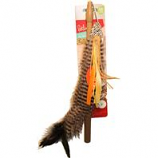 Pull tassel toy under surface for a game of hide and seek. 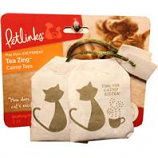 Pure bliss organic catnip attracts cats. .
Hypernip-more potent than catnip. Proprietary blend of silvervine and catnip drives cat wild. Appendages made with real jute a quick growing natural material. 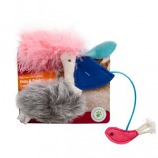 Fiberfill is made from 100% recycled plastic. . 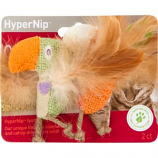 Contains Hypernip which is more potent than catnip and pure as can be. Extendable wand. . . .
Refillable catnip. Catnip organically grown without pesticides or chemicals. Fiberfill made with 100% recycled plastic. 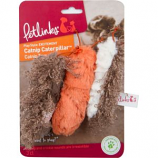 . .
Stuffing free and packed with 100% catnip. Catnip produced without chemical or pesticides. . . .
Scratch nook and private rest spot. Jute rope to play with and rub against. Cylinder core made with recycled paper pulp. 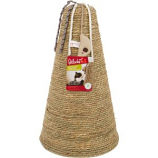 Rope made with real jute quick growing natural material. . Unique blend of silvervine and catnip drives cats wild!